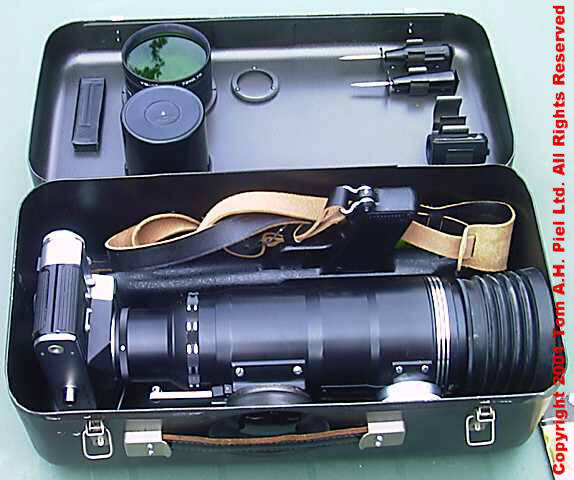 And also the stuff I use to make my photos. 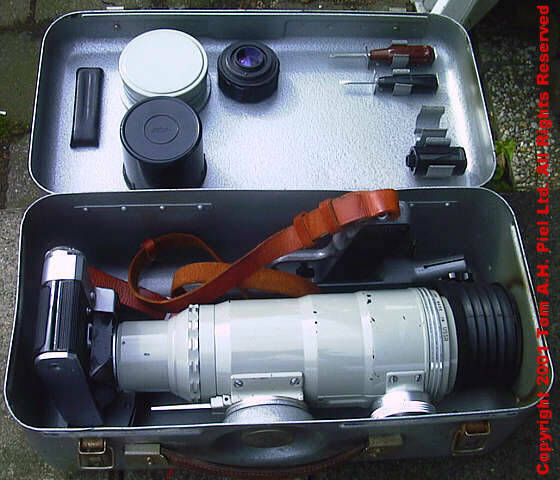 (list from Juli 2001) Some cameras have still to be tested and others are fully operational. This is the one I take to airshows. 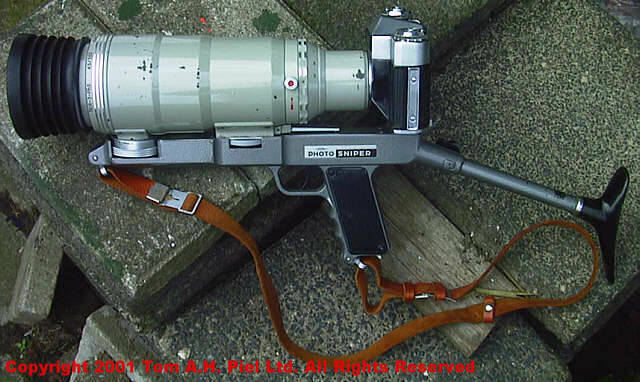 It gives me full control over my shots. And I can choose for full auto, half auto or full manual. Not bad for an entry level SLR. 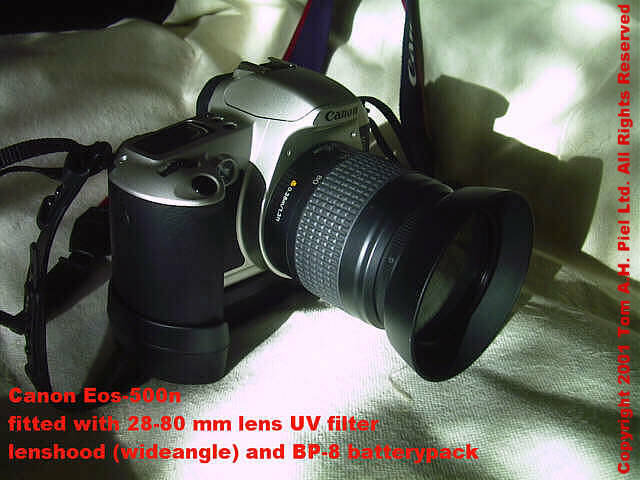 For my review of the Eos 500n click here. 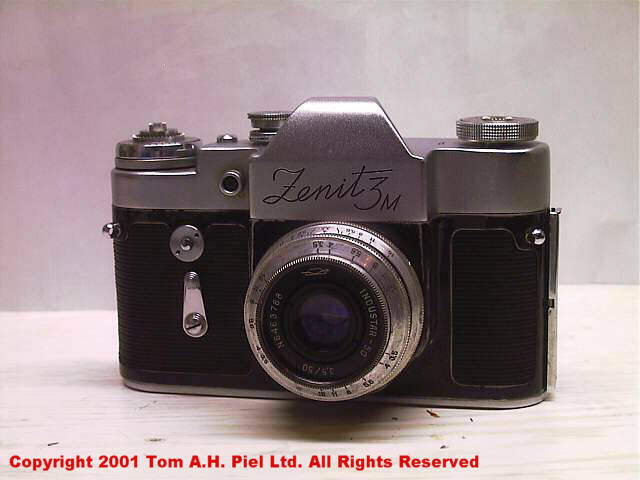 I still love this camera, light and simple. The 5000 has proven itself on numerous airshows and vacations. 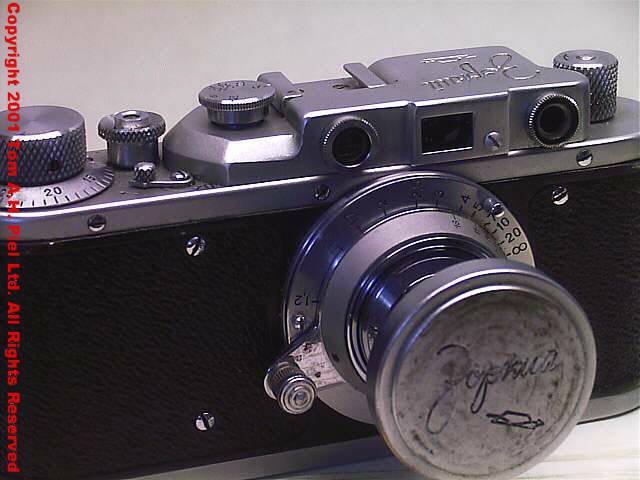 Though it has limitations I still consider it to be a great starters camera. 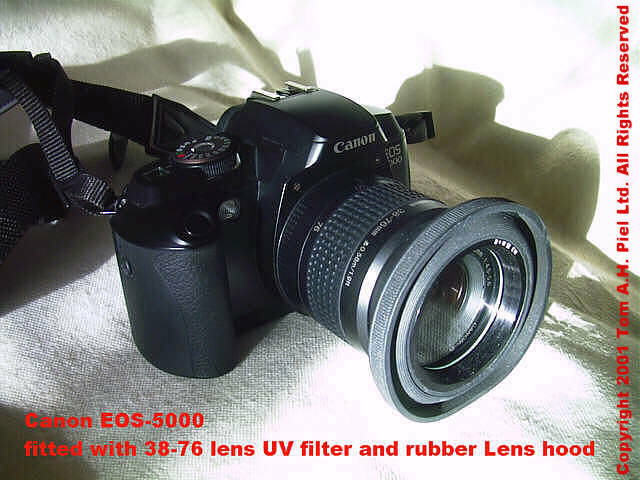 (If you are not too demanding) For my review of the Eos 5000 click here. 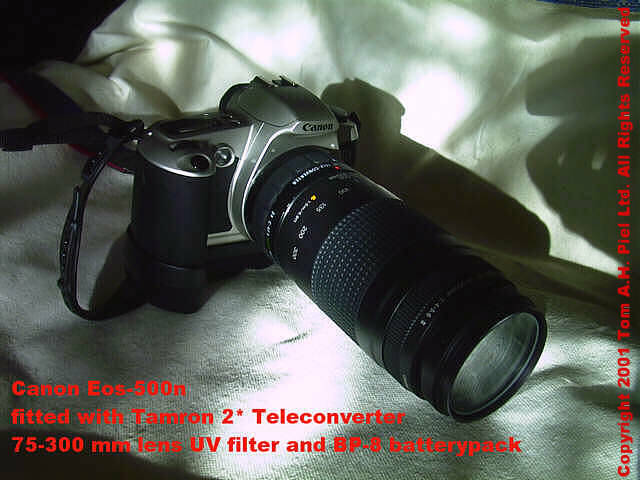 if you own a Canon Eos 500 or 300, get this, you can use normal batteries, it gives more stability with telephoto lenses, and it just looks cool. 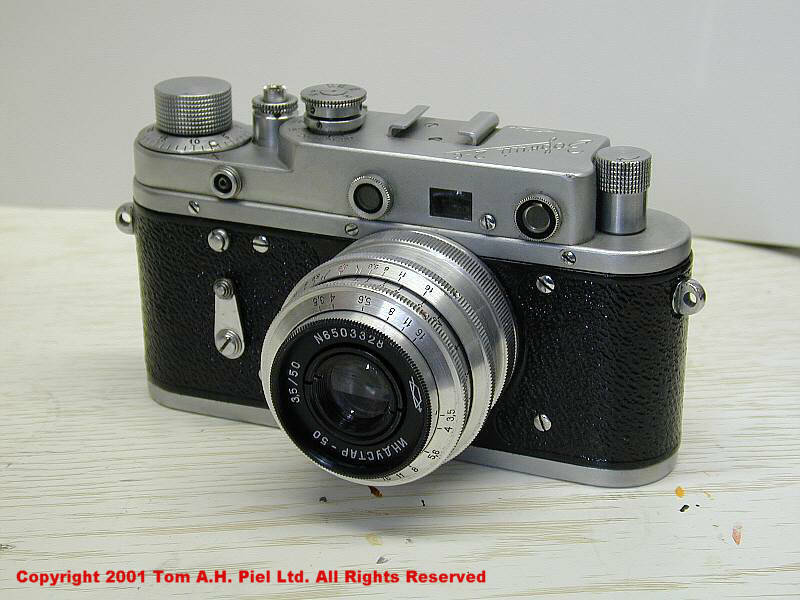 In dutch the SLR (Single Lens Reflex Camera) is better known as the Spiegel-Reflex-Camera. 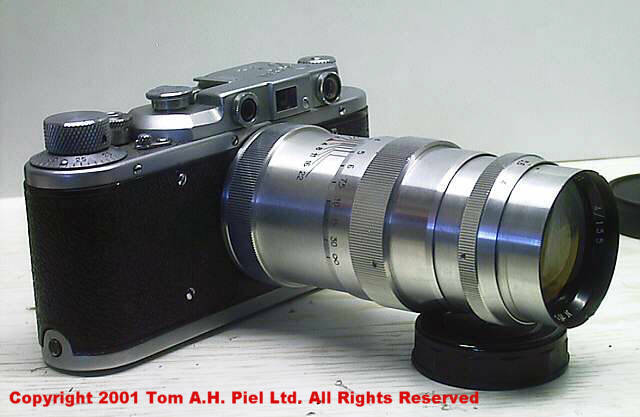 It's also known as TTL camera, Through The Lens. You see what your lens sees, becaus you look Through The Lens. 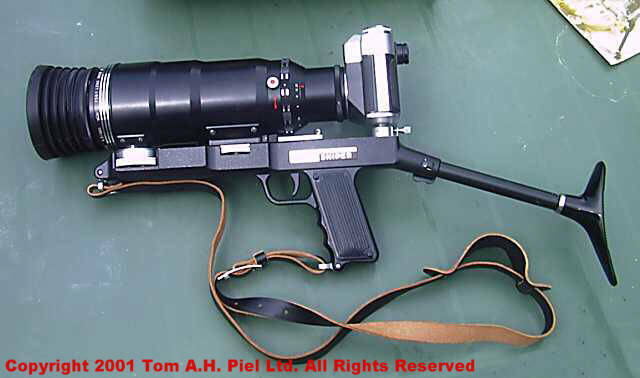 All other cameras, they don't look through the lens. and added the BP-8 with handstrap to get more stability at low speeds. It looks good too and you don't have to worry about your batteries. You just use normal batteries. 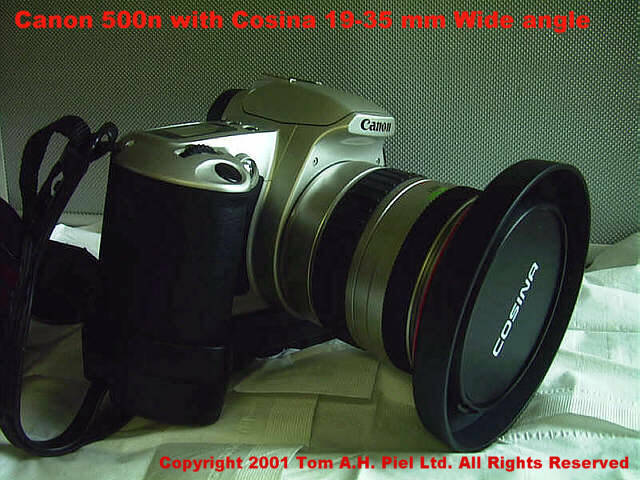 Fitted with a 19-35 mm wide angle lens. Perfect for those static shows when people walk into your shots. No more problems if you use this. Well... less problems anyway. All of these work and I still use them. On a few of them I still have to run a few test rolls. 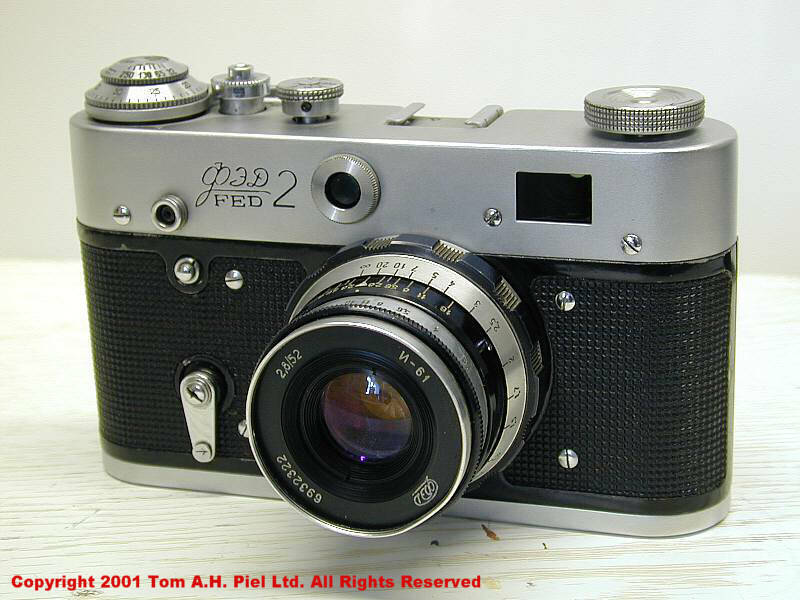 But all of these cameras are good and fun to use. It starting to look more and more like a collection rather than my camera page. 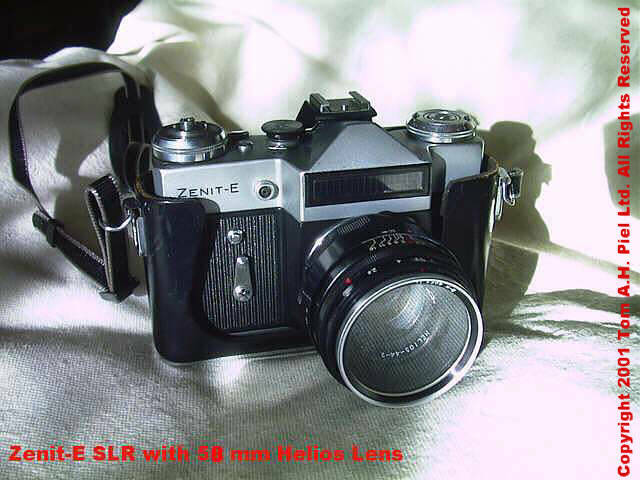 Three Zenith E SLR cameras from 1967, 1972 and 1978. 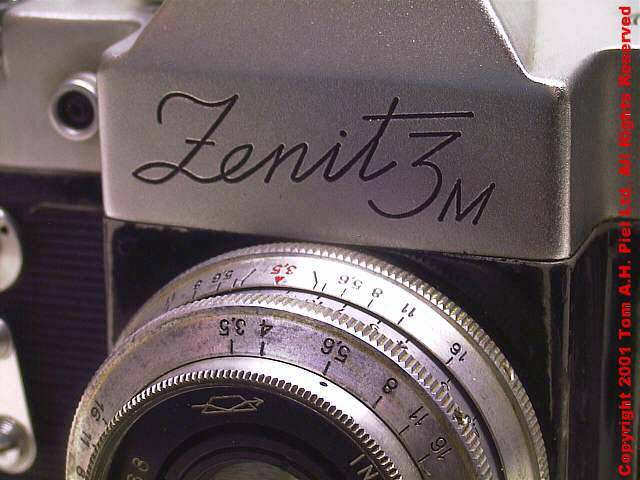 I now have three new Zenit's, a Zenit 3M, a Zenit-B (under the weird name of Prinzeflex 500) and a Zenit-E (under the name Revueflex E) two still have to be tested, and some of them could even do with a bit of paint. 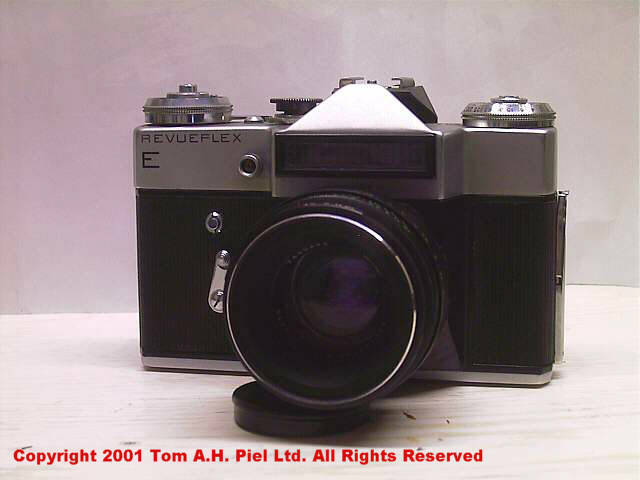 Update, the Revueflex is tested and is Good. 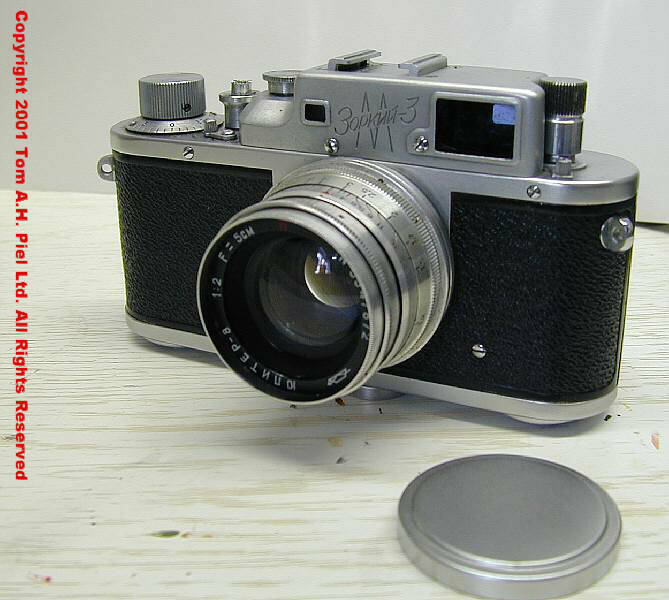 I'm restoring two Snipersets a FS-12-3 PhotoSniperset (labeled Photosnaiper 12) lightmeter is unreliable though. and a FS-122, incomplete and in bad shape. The 3M is restored but has to be tested. 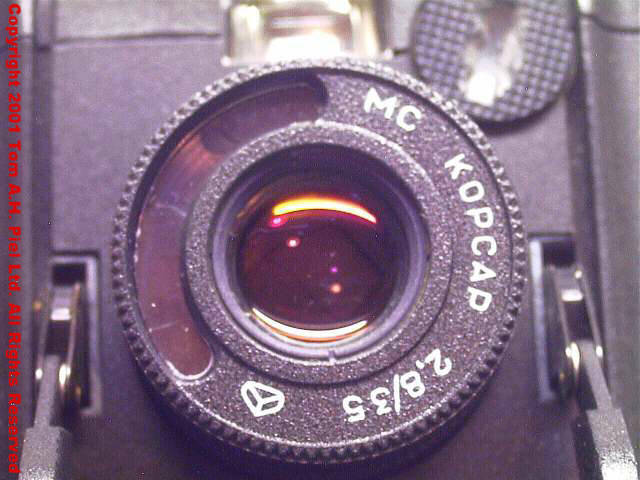 Kiev 35a (minox copy) I saw it and could not resist it very small 101.5x64x32.5 mm, very light 200grams , MC Korsar 2.8/35 mm lens, it can even be fitted with a cable release and a tripod ! 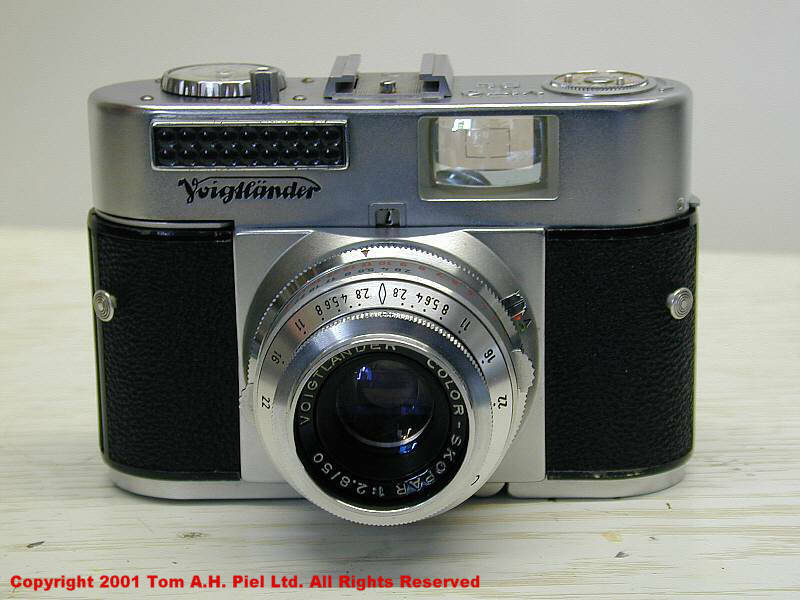 Ok... it's a compact camera, but in my defense, because I said I would never buy this again, it's a very small camera. And it's design is just great. 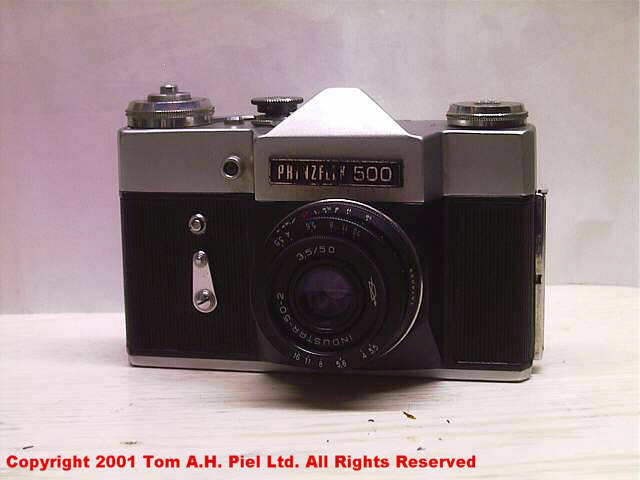 Test failed Shutter stuck, from a roll of 12 shot only in six the shutter worked. I still figuring out how to repair it. 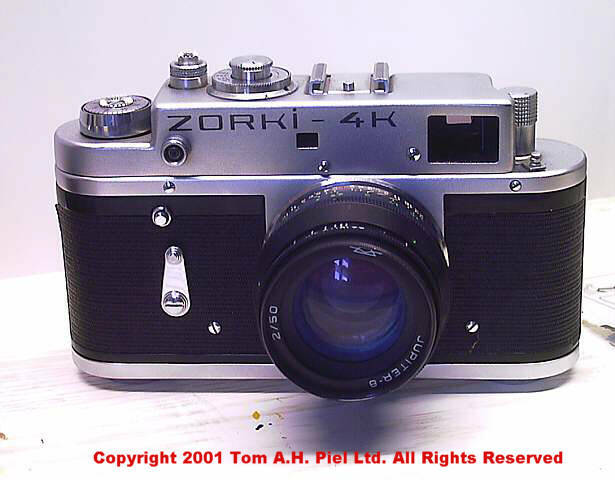 Some extra shots of the Zorki's. 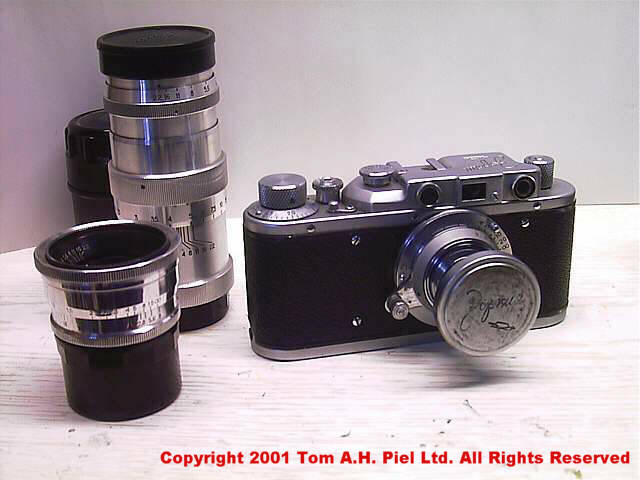 One of them fitted with a 135 mm lens. 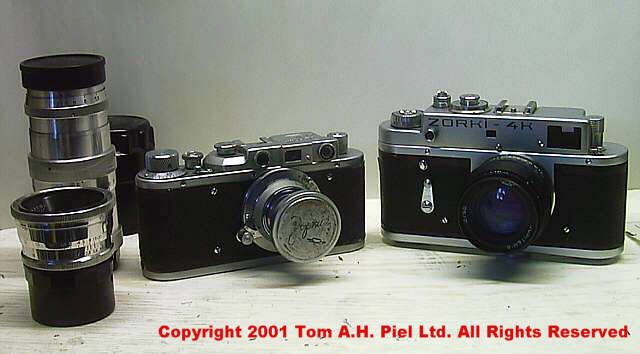 And my Zorki 1 and 4k next to each other, the 4k is bigger but the 1 looks nicer. Very much a retro-look. 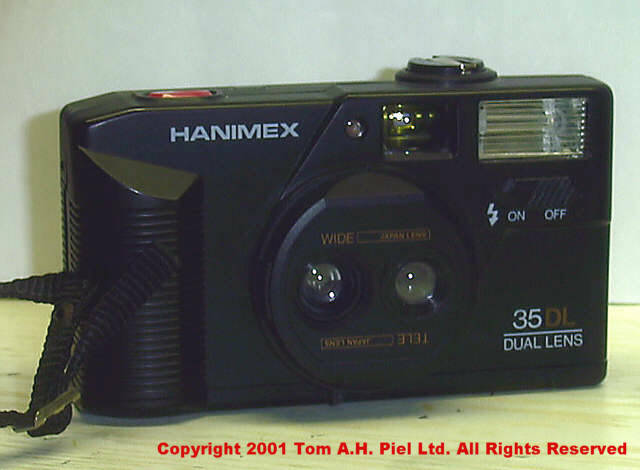 My first and only compact camera, a Hanimex 35 DL (which very logical stands for 35 mm Dual Lens) this camera is nice for snapshots (repaired it twice) but for nothing else. It's really just click and go. 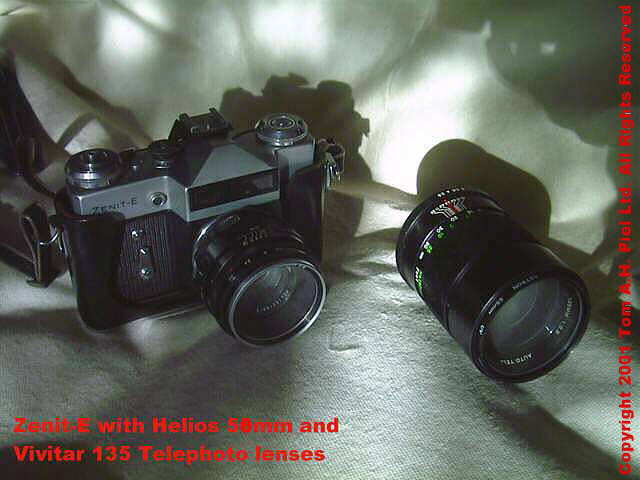 It has two lenses of questionable quality and a viewfinder which views a smaller area than the photo. 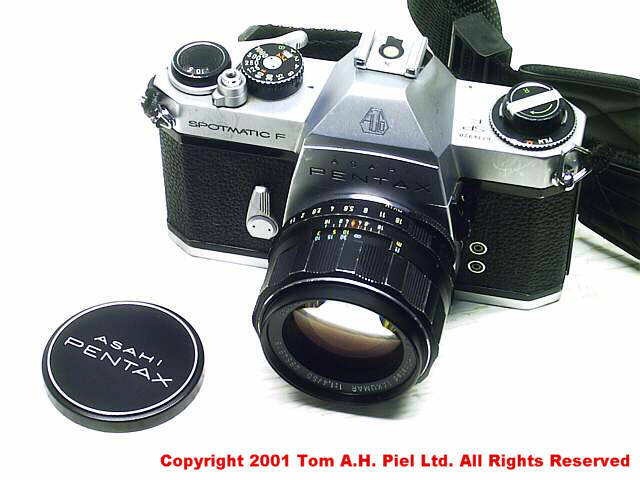 I'll never stray from the SLR path again, aside from Rangefinders. 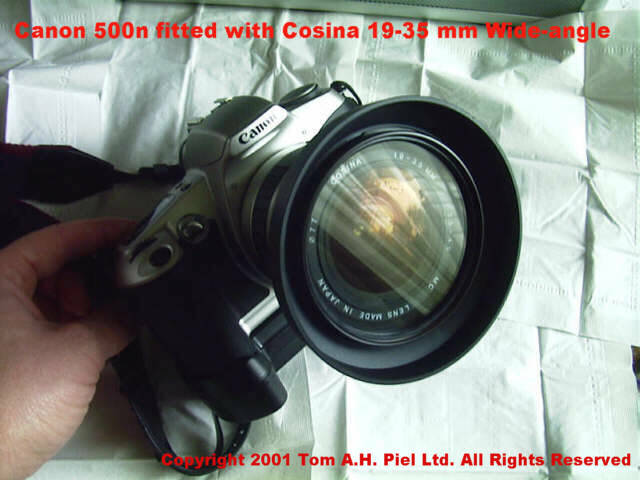 100 iso and 200 iso though I lately only use 200 iso because it's a good allround film.For the flying display I use 400 iso. For black and white I use Illfords 200 iso and Illfords delta. 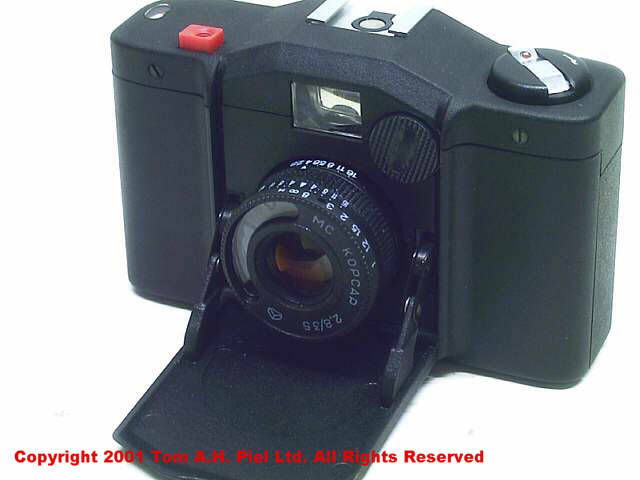 I mainly use Kodak Ultra, Gold and Fuji Superia films. Also I have 2 Hama Filmprotectors for storage of films when doing a shooting session or when I'm on the road (protects from dust, water and x-rays). A UMAX Astra 2000U 36 bit USB scanner with a maximum of 9600 dpi. For photos I mostly go to 300 dpi or when enhancing 450 or 600, for photos you rarely need more. But I would love to have a Negative scanner.